Equestrizone FlexiMover is a range of supplements to support mobility and joint health in horses. FlexiMover contains a combination of Boswellia serrata, Ginger, Glucosamine hydrochloride and MSM with no added fillers or bulkers. 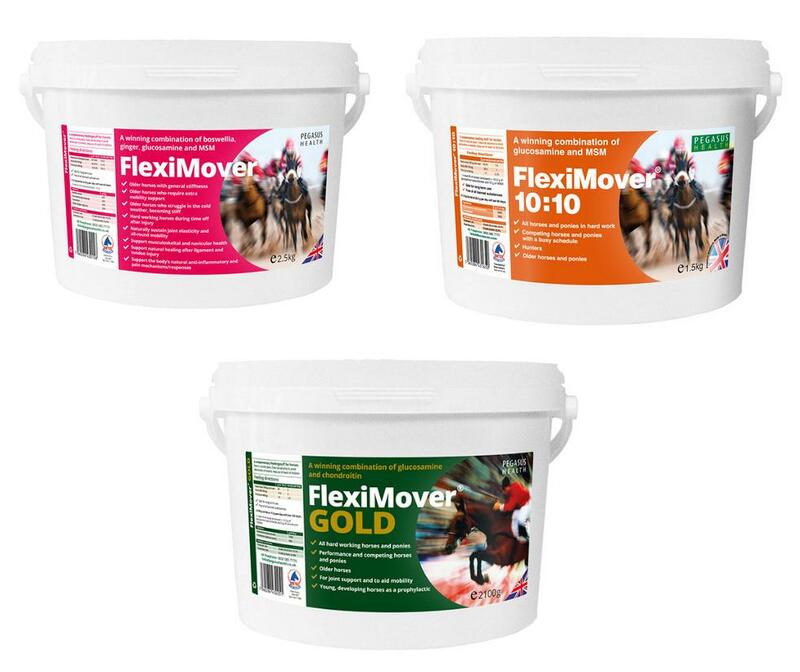 FlexiMover 10:10 contains just the Glucosamine hydrochloride and MSM, and FlexiMover GOLD contains Chondroitin sulphate and Glucosamine hydrochloride. A blend of 99.0% pure glucosamine hydrochloride (derived from shellfish) and PurforMSM® with no added fillers or bulkers. 1 x level 25 ml scoop (enclosed) = 12.5 g of glucosamine hydrochloride and 10 g of MSM. A blend of 99.0% pure glucosamine hydrochloride (shellfish) and 90.0% pure chondroitin sulphate (avian) with no added bulkers or fillers. 2 x level 10 ml scoop (enclosed) = 12.5 g of glucosamine hydrochloride and 5 g of chondroitin sulphate. There are currently no questions for Equestrizone FlexiMover for Horses - be the first to ask one!